lodging options. 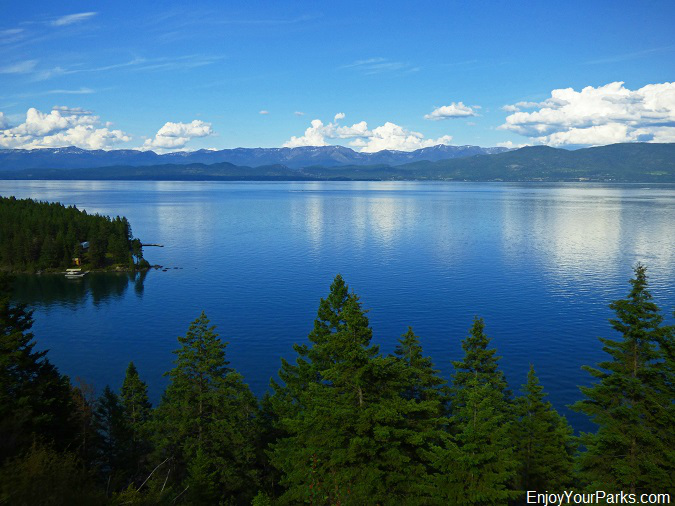 There are several small charming towns nestled along the shores of Flathead Lake, and also gorgeous bays and state parks. 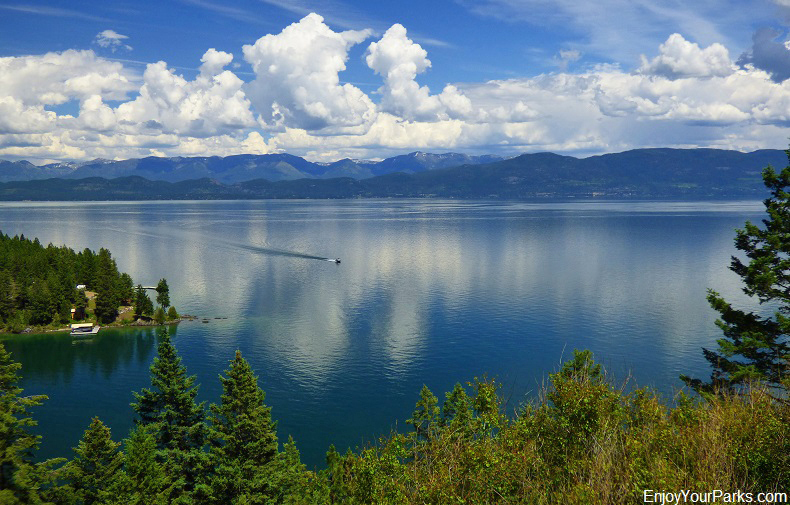 Flathead Lake is slightly larger than Lake Tahoe, and has the cleanest water of any lake of its size in the populated world. Located only 7 miles south of Kalispell, Montana and only 30 miles south of Glacier National Park, Flathead Lake is approximately 30 miles in length and 16 miles wide. This massive fresh water lake covers 191.5 square miles, and has two scenic highways, one on each side, that allow visitors to enjoy amazing views all along this famous lake as they closely follow the 185 miles of its curving shoreline. U.S. Highway 93 follows the west shore of the lake, and Route 35 follows the east shore of the lake. These scenic highways follow the curves of the lake shore, and give you access to the many bays, marinas and boat ramps found throughout this incredible area. along U.S. Highway 93 (west shore) and State Route 35 (east shore). Cherry Orchards, Vineyards and More! 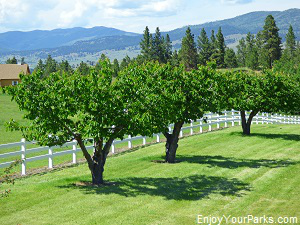 Along the east shore of Flathead Lake is also home to many Flathead Cherry orchards... which produce some of the best tasting cherries on the planet. The west shore is very conducive to vineyards, which produce wonderful local wines. The climate around Flathead Lake is quite mild compared to the rest of the region, and is perfect for growing cherries and grapes. There are also apple, plum and pear orchards surrounding the lake, as well as Christmas tree farms and tree nurseries. The eastern shore of Flathead Lake is bordered by the spectacular Mission Mountain Range and the Swan Mountain Range, and the western shore is bordered by the Salish Mountains. These mountain ranges along with an incredible scenic shoreline and crystal clear water, make for stunning views as you drive along the shoreline of this scenic lake. 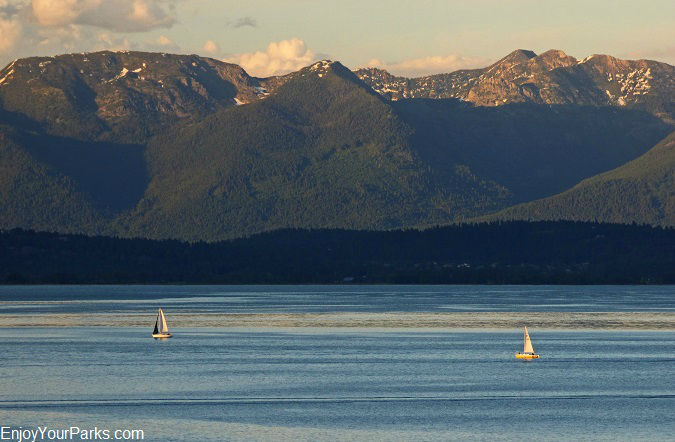 The Swan Mountains and Mission Mountains rise above the west shore of Flathead Lake. Flathead Lake is a remnant of Lake Missoula, which was a massive ancient lake that was dammed by a massive glacier approximately 14,000 years ago. This ancient lake measured 3,000 square miles and contained about half the volume of Lake Michigan! of the Columbia River. This trench was filled by a gigantic glacier during the last ice age (15,000 to 10,000 years ago). As the glacier moved southward during the ice age, it carved out this massive trench, and then eventually stopped advancing along the south shore of Flathead Lake at the town of Polson, Montana. 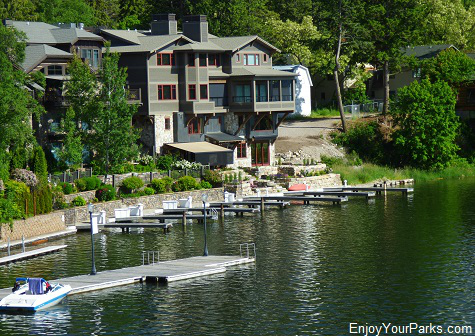 The Flathead Lake Area is absolutely loaded with fun things to see and do. The list is endless, and includes everything from water sports to downhill skiing, to wine tasting and fine dining, to amazing shopping. 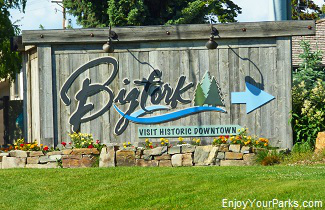 Big Fork, Somers, Lakeside, Polson, Big Arm are some of the small towns that rest along the shores of Flathead Lake, and each have plenty of great services to offer Flathead Lake visitors. 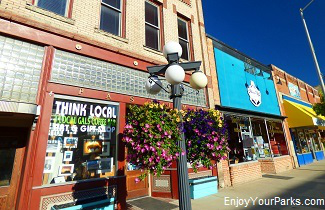 Kalispell Montana is only 7 miles to the north of Flathead Lake, which is a larger town that is also a great tourist destination. Whitefish, Montana is just northwest of Kalispell, and is a charming tourist town with a fantastic ski resort by the name of Big Mountain. 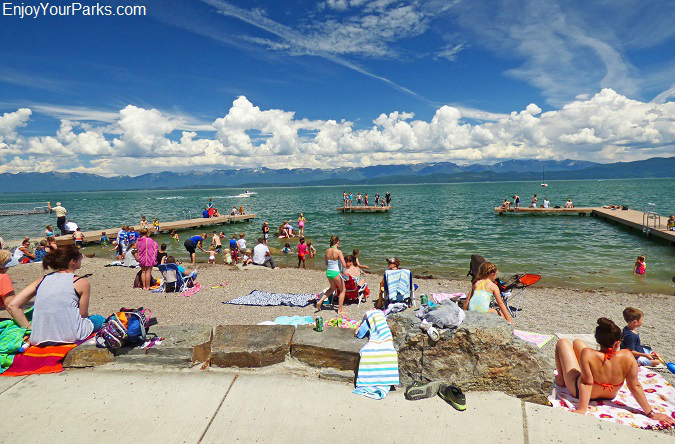 Visitors having fun on the shore of Flathead Lake at the small town of Lakeside, Montana. the Flathead Indian Reservation. This large reservation is actually home to the Kootenai, Pend d'Oreilles and Bitterroot Salish Tribes. 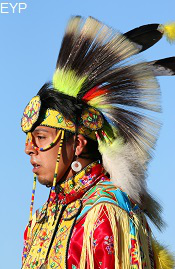 These tribes are also known as the Confederated Salish and Kootenai Tribes of the Flathead Nation. 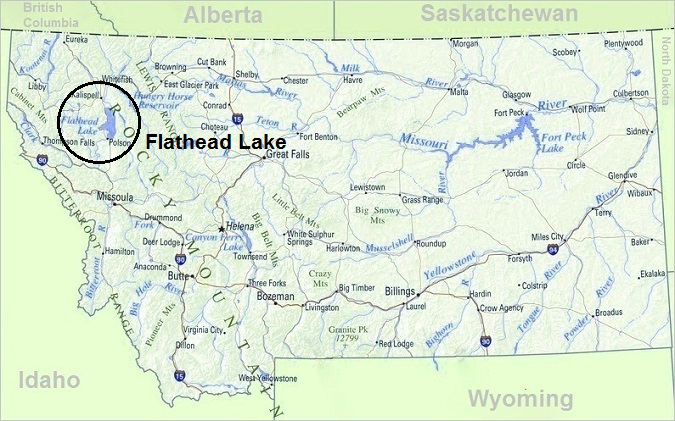 The Flathead Indian Reservation was created on July 16, 1855 by the Treaty of Hellgate, and is 1,938 square miles in size. There is an incredibly rich Native American history throughout this area, and we encourage anyone interested in Native American History to explore it. Flathead Lake has 6 Montana State Parks along its shores which include Wayfarers State Park, West Shore State Park, Yellow Bay State Park, Big Arm State Park, Wild Horse Island State Park and Finley Point State Park. 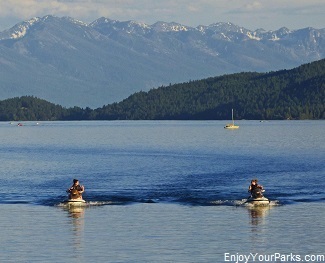 These scenic state parks provide boating access to Flathead Lake, as well as campgrounds and picnic grounds. This is a photo of just a slice of Wild Horse Island on Flathead Lake. 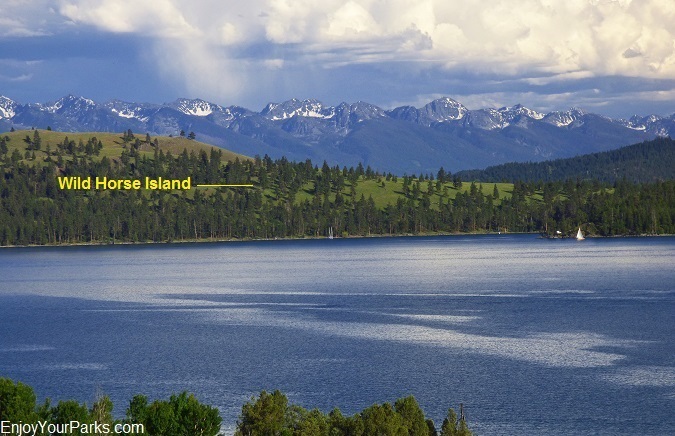 Wild Horse Island is the largest island in Flathead Lake, being 2,100 acres in size. For many centuries, the Salish Indians and Kootenai Indians used Wild Horse Island to pasture their horses. They did this to keep their horses from being stolen by enemy tribes. Wild Horse Island is now a Montana State Park, and is located near Big Arm Bay in Flathead Lake. This remarkable island is home to bighorn sheep, wild horses, mule deer, waterfowl and bald eagles. The only access to this wild island is by boat and for day use only. 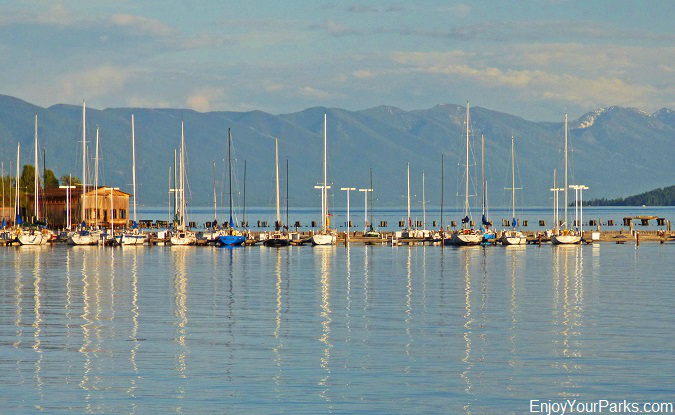 Sailing is a popular water sport on Flathead Lake in Montana. 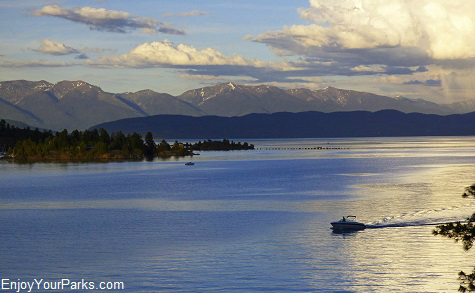 Of course Flathead Lake provides outstanding boating and fishing opportunities. 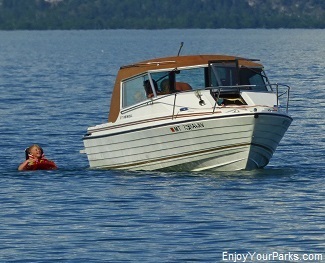 There are many boat launches and marinas found along the shores of Flathead Lake, as well as boat rentals. Jet skiing, kayaking and sailing are also very popular. If you like to fish, there are several fishing guide services found throughout the area, where the main catch of the day is Lake Trout. Lake Trout and Lake Whitefish were introduced to Flathead Lake many years ago, but the two native species in the lake are the Endangered Bull Trout, and the West Slope Cutthroat Trout.